Preheat oven to 220°C. Place the pizza bases on a baking tray or pizza stone. Spread the pizza sauce evenly across the bases and sprinkle with mozzarella. 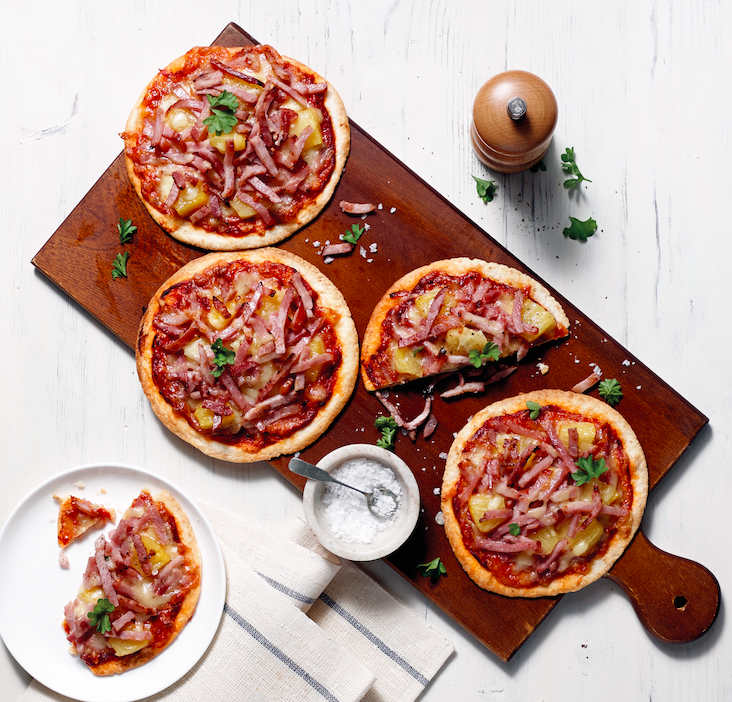 Arrange the ham over the cheese and top with pineapple pieces. Bake 7-10 minutes or until the cheese is browned and the base is crisp.